The National Environment Agency (NEA) lifted its suspension on Goodwood Park Hotel's bakery yesterday, after the bakery put in place measures to address food safety lapses. 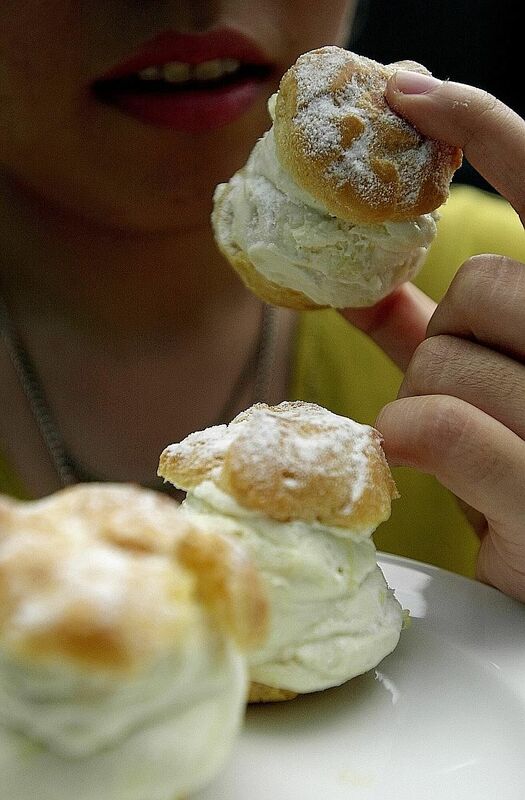 The bakery's licence was suspended on April 22 after at least 76 food poisoning cases were linked to its popular durian pastries. In a joint statement, the NEA, Health Ministry and Agri-Food and Veterinary Authority said their investigations found poor personal and food-handling hygiene practices among bakery staff. For instance, they saw that one employee did not use gloves that covered her arms completely while preparing the durian crepe filling. "This resulted in exposed skin on her forearms coming into contact with the durian filling when she was manually mixing it," said the agencies in the statement. Two food handlers tested positive for Norovirus, a highly contagious virus that can cause nausea and diarrhoea. Stool samples from three people who fell ill during the outbreak showed that they, too, had the bug. During the suspension, the bakery stopped producing, distributing or selling pastries. All pastries that it had made for sale were thrown away. The entire bakery - including its equipment, utensils, work surfaces and toilets - was cleaned and sanitised. All food handlers were sent for screening, and the lapses identified during the agencies' inspections were reviewed and rectified. Now, kitchen staff at Goodwood Park Hotel will have to declare their health condition daily before being allowed to start work. All food handlers have re-attended and passed the Basic Food Hygiene training course, and all have returned to work except the two who tested positive for Norovirus. They will be allowed to resume work only after the Health Ministry has given them the all-clear. NEA will be taking enforcement action because of the hygiene lapses, and will continue to monitor the bakery closely until it is satisfied that good food hygiene measures are being practised.